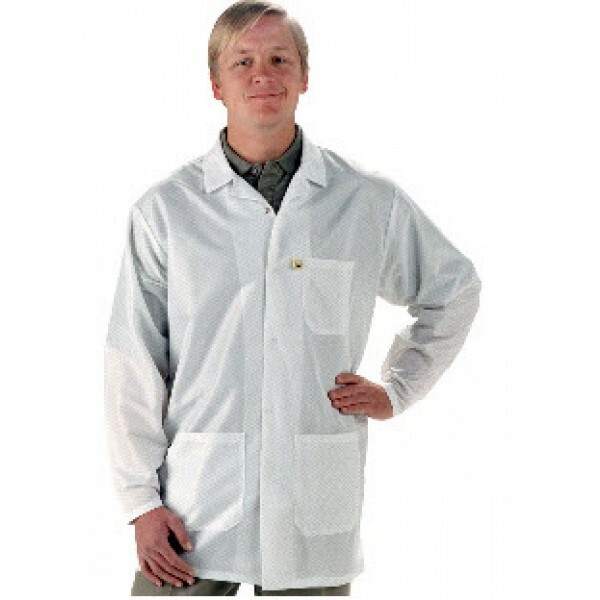 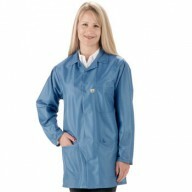 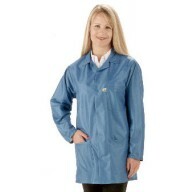 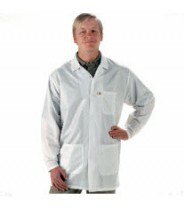 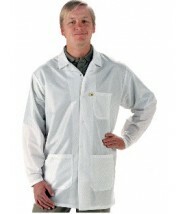 Tech Wear's EconoShield™ provides low cost protection with their ECX-500 ESD fabric, a light weight 3 oz. knit of 98% polyester and 2% conductive fiber. 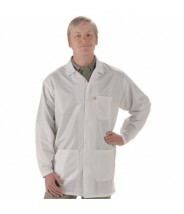 Featurespowdered-coated front closure and wrist-adjustment snaps, three roomy patch pockets, and lapel-style collars.